I’m sorry the quality is rather poor, I couldn’t find a better one. I really liked this scene in the novel so I’m happy to see it pictured here! Release is scheduled for April 2012. 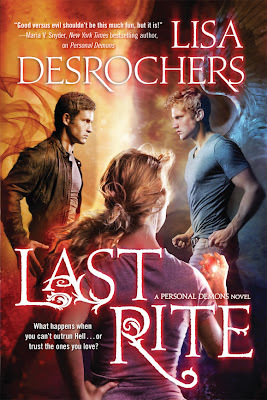 Up next is the third book in the Personal Demons series, Last Rite, by Lisa Desrochers. Couldn’t find a product description but that one is due May 2012! 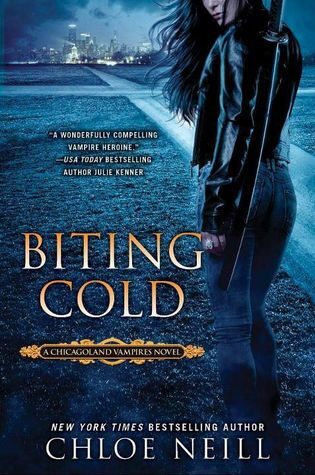 I’m totally in love with the next cover, Biting Cold, the sixth Chicagoland Vampires novel by Chloe Neill. That one is scheduled for August 2012. The cover of the twenty-second Dark Hunter novel, Time Untime was also recently release. I really like this series by Sherillyn Kenyon even thought I’d not up-to-date. Release date: August 2nd 2012. 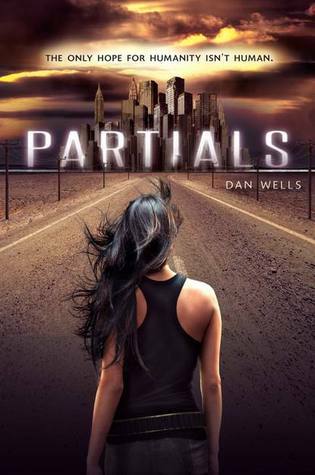 The next book, Partials by Dan Wells is a book I’m anxious to read! I discovered a love of dystopian books in the past month and I’m looking forward to that one! Dan Wells, acclaimed author of I Am Not a Serial Killer, takes readers on a pulse-pounding journey into a world where the very concept of what it means to be human is in question—one where our humanity is both our greatest liability and our only hope for survival. To be expected February 28t, 2012! I like the cover of the first book in that series better, but I love a lot of element about that one. I think the girl’s face is the only thing I don’t like actually o.0 Still, I’m looking forward to Summoning the Night by Jenn Bennett, the second book in the Arcadia Bell series. Last, Rachel Vincent posted an animated version of the UK cover of My Soul to Steal, and I think it’s pretty neat! I think I’d have to go with Biting Cold ^^ Just love the feel of it! That animated cover is amazing! Beautiful. Ooh. Look at all of the purty covers! My favorite would have to be "Partials". It looks so doom & gloom. SQUEE! These are all sooo pretty!! !